Earthquake acceleration time chronicles records are important sources of information in the field of tremor engineering and engineering seismology. High frequency noise could considerably reduce P phase picking accuracy and the time. Accurate detection of P phase and onset time arrival picking is very important for the earthquake signal analysis and prediction problem. Large number of those records are defiled with noise so appropriate denoising method is impulse for the exact investigation of the information. Polish off of non-stationary and high energy noise from the recorded signal is challenging with preservation of original features. In this paper, we propose a method to denoise the signal based on variational mode decomposition and continuous wavelet transform. Noisy signal is disintegrated into intrinsic mode function by variational mode decomposition. The probability density function of noisy signal and each intrinsic mode functions is calculated using Kernel density estimation and then Manhattan distance. The probability density function helps us to identify the relevant mode and high frequency noisy intrinsic mode functions, so the continuous wavelet transform is applied to the selected mode. We observed the effect of noise and denoising method on parameters like acceleration and displacement response spectra. 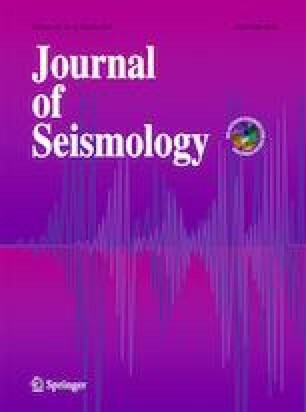 The experiments on synthetic and real earthquake accelerograms validate ameliorate result of the proposed method. The authors would like to thank the Department of Mine and Geology, Nepal, for providing the real earthquake accelerogram data, and thank to Wenlong Wang and Yuhan Shui for the helpful discussions. This study is supported in part by National Key Research and Development Program of China under Grant 2017YFB0202900, NSFC under Grant 41625017 and 41804102.